Sleeping out under the stars is often many people’s ideal way to spend a night. An opportunity to appreciate nature and some of the most beautiful skies you could wish to see. 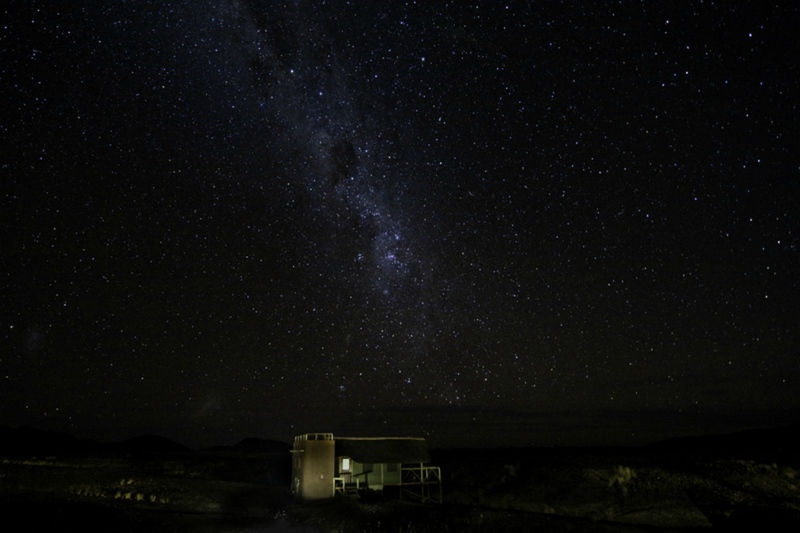 Star Beds are the new hip & happening thing… not only that, travellers don’t need to spend countless nights sleeping out, instead, many safari lodges are providing ‘star beds’ to allow guests to take 1 or 2 nights (or perhaps just a few hours) to head out and take in the night sky – distant stars, milkyways and if you’re lucky, a shooting star to cast a wish upon. 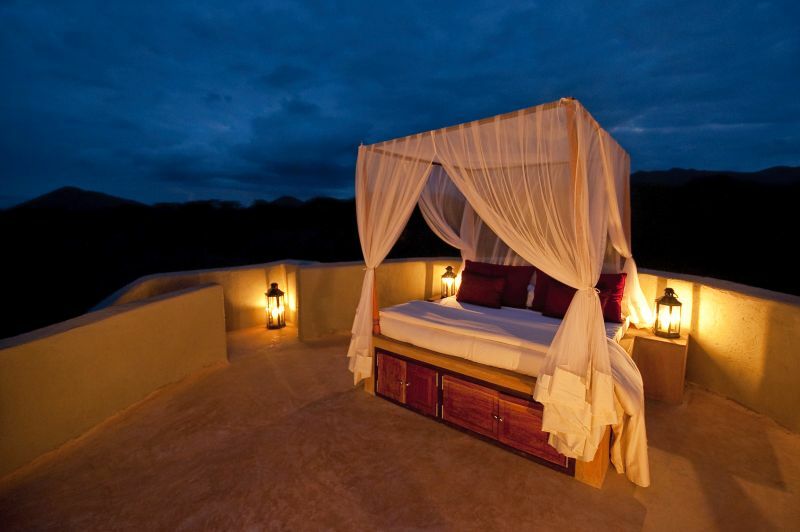 Star Beds are a unique and special opportunity during your African safari, to simply relax and get lost in dream-like natural paintings in the sky. We often feel miniscule compared to the universe we find ourselves in and it is here, beneath the night sky that travellers and lovers of nature can often find solitude and resonance. 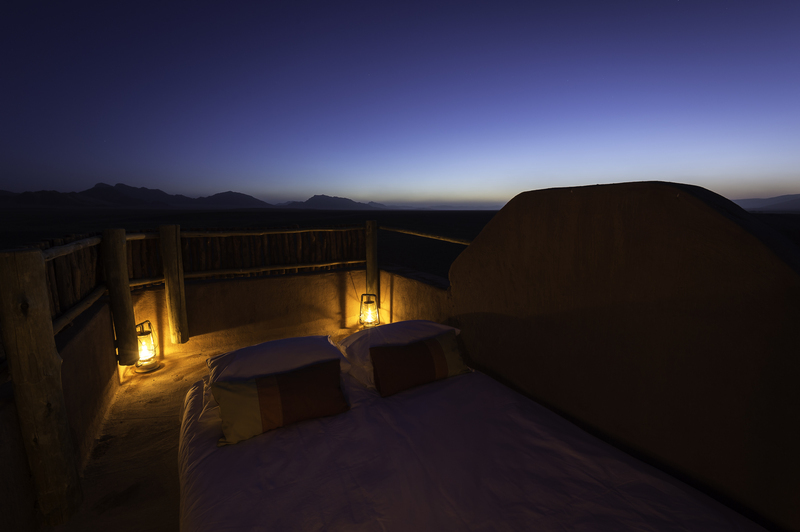 Here’s a quick-fire list of some of the very best Star Beds in Africa we send our customers – from all night sleep-outs, to beds atop of your room allowing for quick and comfortable access to make the most of your experience. Located on the Maasai-owned Mbirikani Group Ranch, comprising of 275,000 acres of wilderness between Amboseli and Tsavo National Parks and bordering Chyulu Hills National Park. This stunningly beautiful area is incredibly diverse, and often has spectacular views of Mount Kilimanjaro. The 16-bed lodge is a harmonious blend of contemporary and rustic, merging the landscape into each suite. Designed for a wide appeal, the lodge is a perfect getaway for families, honeymooners or multi-generational groups. No two of the lodge’s eight suites is exactly the same, but what is consistent is the view to Mt. Kilimanjaro and the lodge’s famous waterhole as well as star beds atop each of the suites for sleeping under the night sky. Situated at the foot of the majestic Sossusvlei dunes, a private entrance (for Kulala desert Lodge vehicles exclusively) to Namib Naukluft Park makes Kulala Desert Lodge the closest location to Sossusvlei, while magnificent views of its famous red dunes, mountainous scenery and vast open plains make it the most spectacular. The camp comprises 23 thatched and canvas “kulalas” (including one family room and two family units) with en-suite bathrooms and verandas. Each unit is built on a wooden platform to catch the cooling breezes and a flat rooftop where bedrolls can be placed for guests to sleep under the stars. 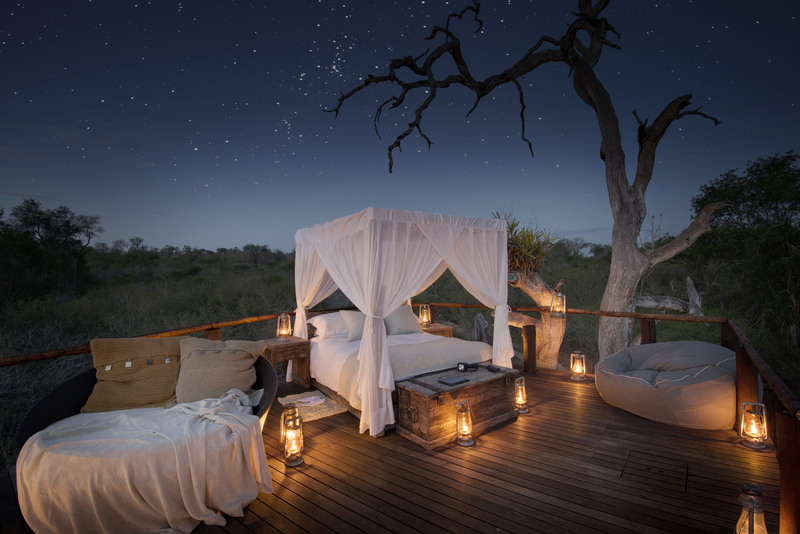 The Treehouses at Lion Sands are for the hopeless romantic (ideal as a wedding or anniversary treat), the adventurer, the person who needs a complete disconnect and digital detox, or the wildlife enthusiast who prefers the bush au-natural. All of the Treehouses are securely constructed above the ground, where animals will remain at a safe and comfortable distance. Our Field Guide will provide a full orientation when he drops guests off before sunset, and will remain on call via the radio left behind until it is time to leave the following morning after sunrise and a good cup of coffee! Ok, that’s enough temptation for one day… including for our team!  Make the most of your safari with Captured In Africa and be captured beneath the stars with this enchanting way of spending a few hours. We promise you won’t be disappointed in what nature has in store for us.